If there is anywhere that Diana and I gravitate towards in our travels, it’s places with historical significance. We recently found such a place a couple hours east of Prineville. 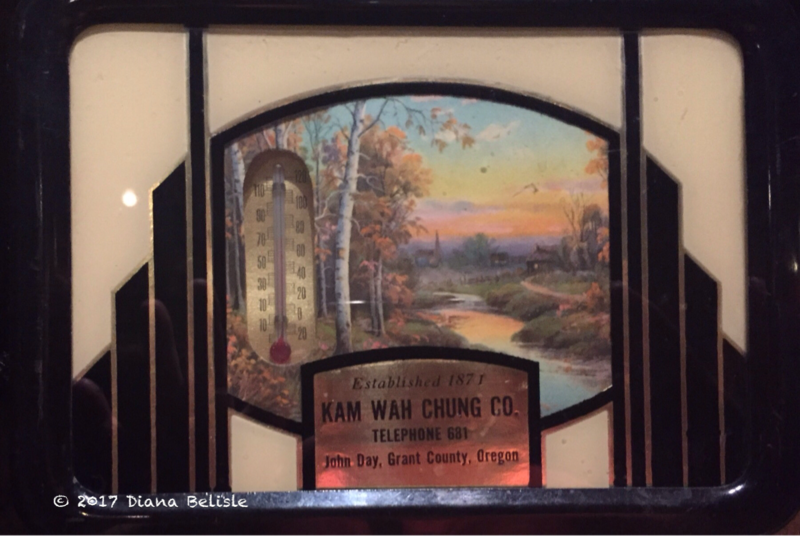 On August 7, our friends Bob and Kathrun accompanied us to the town of John Day, Oregon and a little building in a city park called Kam Wah Chung. Back in the 1880’s, the town of John Day had a bustling community of Chinese laborers who worked in the local mines. 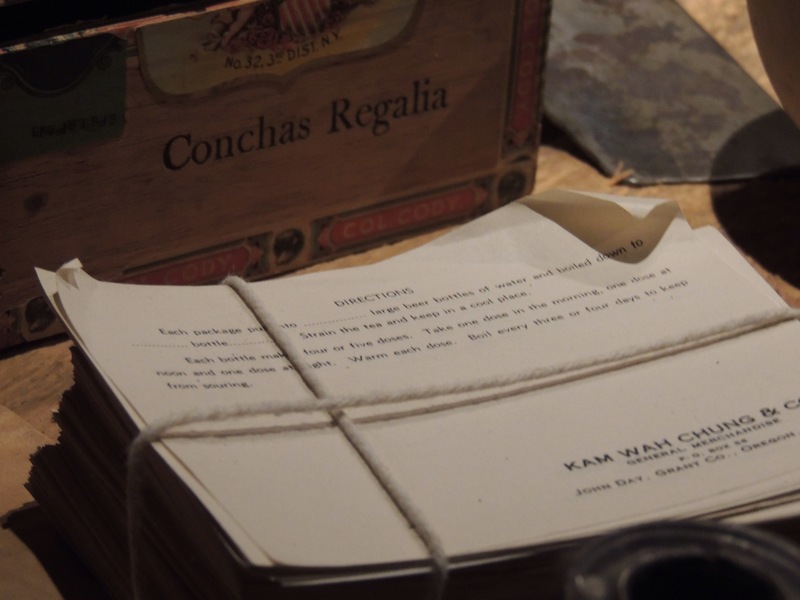 Kam Wah Chung & Co. was the gathering place in that area of town, serving as both a general store and medical clinic. 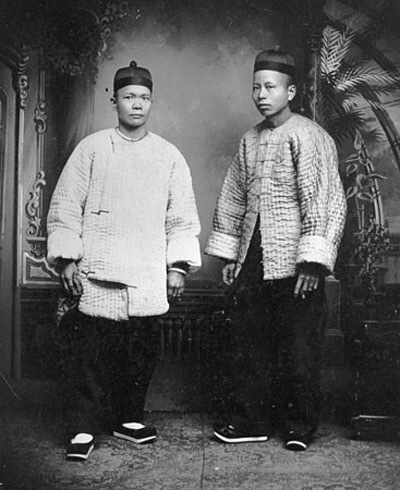 The owners, Lung On (the outgoing entrepreneur) and Ing Hay (the more reserved doctor) survived racism and the loss of their Chinese clientele, as the mines closed and the workers moved elsewhere. They were eventually accepted as a part of the surrounding Anglo-Saxon community. Towards the end of their lives, their customers and patients were mostly white. Doc Hay was the last to go. He locked the door in 1948 after breaking his hip, fully intending to return. He ended up in a nursing home in Portland and passed away 4 years later from pneumonia. Along the way, he had deeded the building to the city to be preserved as a museum, but the town somehow lost track of those details. 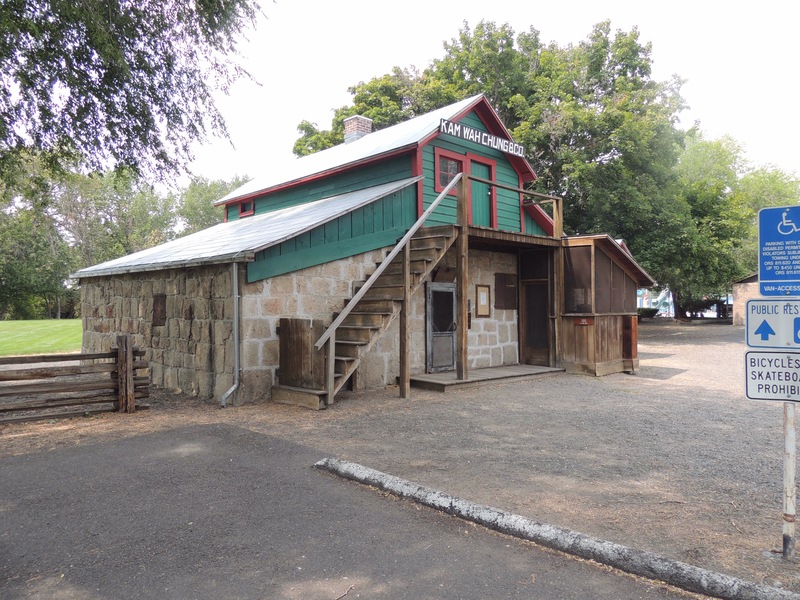 They planned on expanding a city park that surrounds it in 1967 and were considering having the building torn down when they discovered the deed and Doc Hay’s wishes. When they opened the door, they were transported back to the 1940’s, as everything from the day the doctor left had remained as it was. The city realized that preserving it was too much of an undertaking for them, so they transferred ownership to the state. Today it is an Oregon State Park Heritage Site. 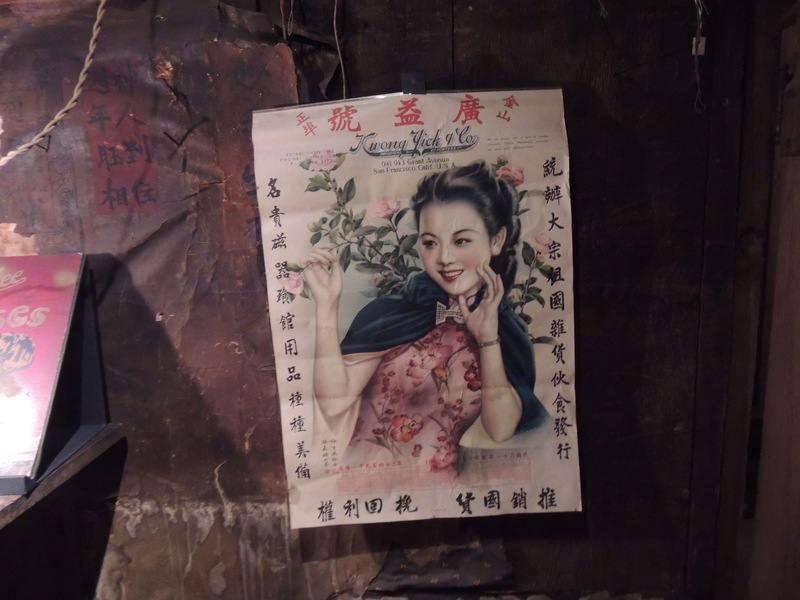 The day we visited, the volunteer host opened the door for us and said “Welcome to the 1940’s!” We stepped inside to a dimly lit, magical time capsule of a place that held pieces of the past that we could relate to. 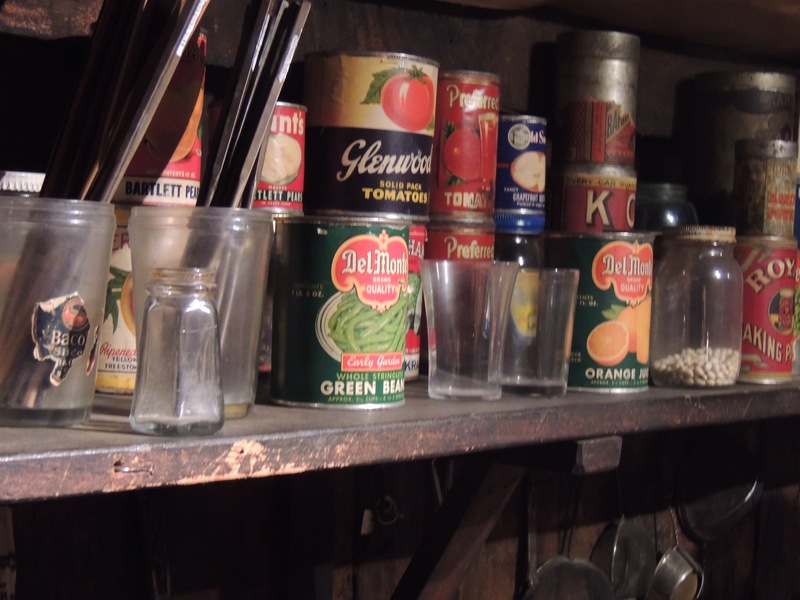 Many of the items were things we had seen in either our grandparent’s homes, antique stores, or museums. 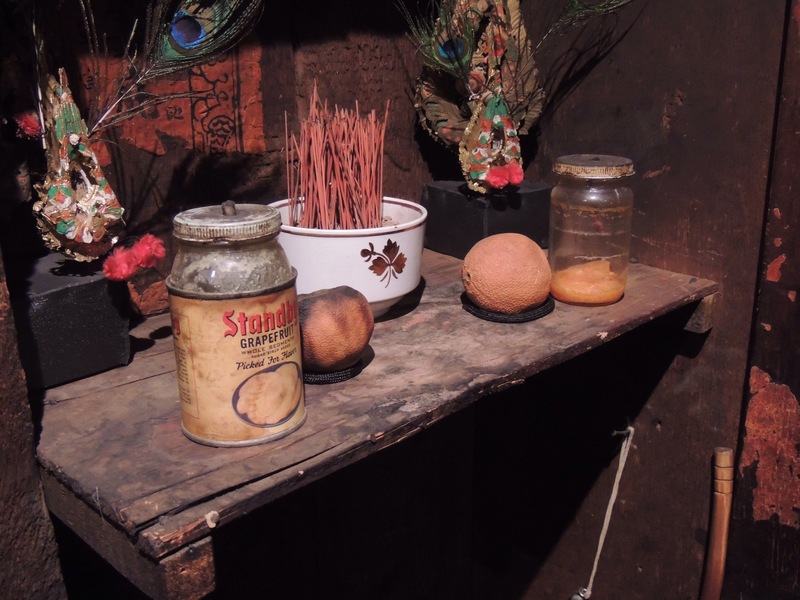 The unique thing here was that all of the items were as Doc Hay had left them, right down to the oranges on one of the little altars he had scattered around the store. Yes, those are real oranges. Lung On ran the general store portion of the operation. Most of the items found here were U.S. made goods. I found it interesting that Del Monte is still using the same basic label 70 years after this can was placed on this shelf. 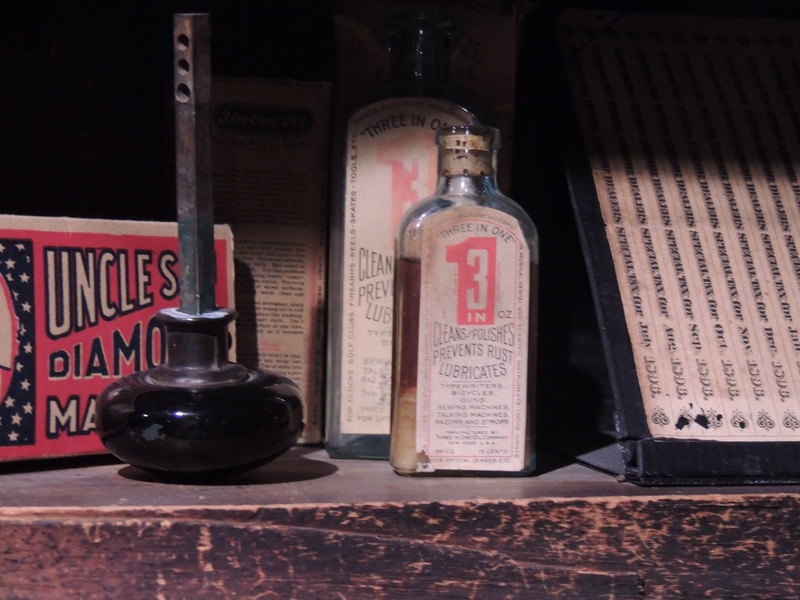 While Doc Hay used mostly Chinese herbs for his medicines, he also incorporated local items. 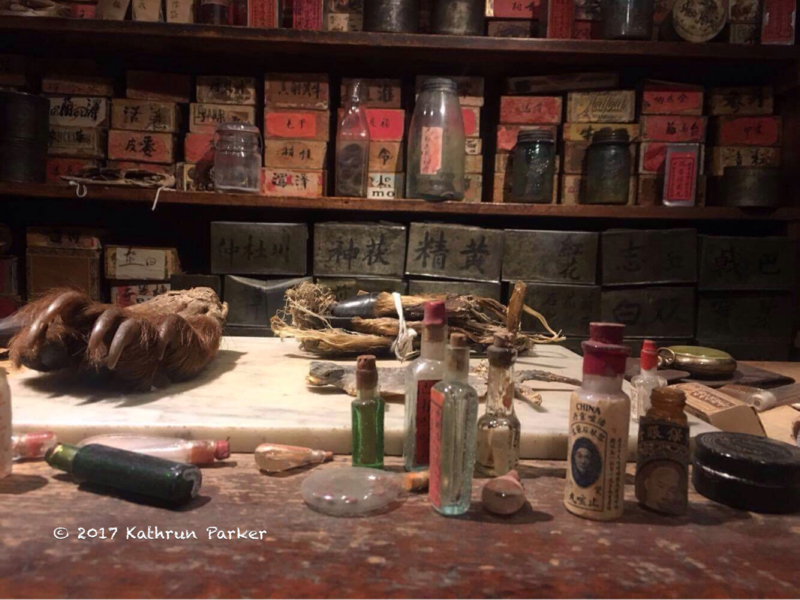 Here is Kathrun’s photo of a bear paw in his apothecary, exactly as he left it. Behind it are over 500 herbs from China, many of which are still being identified today. The week we visited, a delegation from China was coming to help with that process. Also note the mid-sized milk bottle on the shelf with the black contents. That’s a dried up rattlesnake. Note how his prescriptions used beer bottles for measurement. Remember, his clientele in the 40’s were mostly local working men. Most of them didn’t have measuring cups, but they all had beer bottles! And check out this 1942 calendar from an importer in San Francisco. It’s interesting to see the Chinese version of a pin-up! 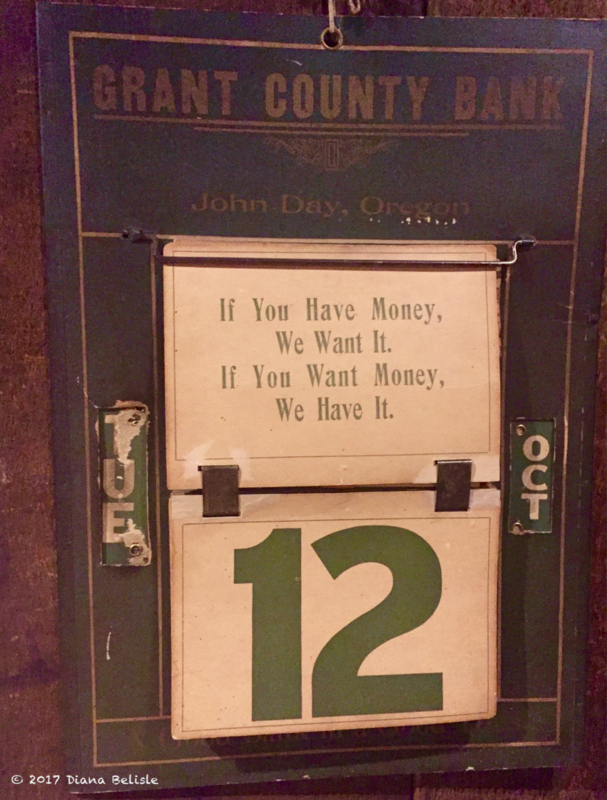 Speaking of calendars, you just have to love this one Diana noticed from a local bank. They are very straightforward as to their thoughts about money! She also saw this thermometer. Note the telephone number….no area code back then, and only three digits long. The scene in the background almost looks like a work of Thomas Kinkade, except he wasn’t born yet when this was produced. 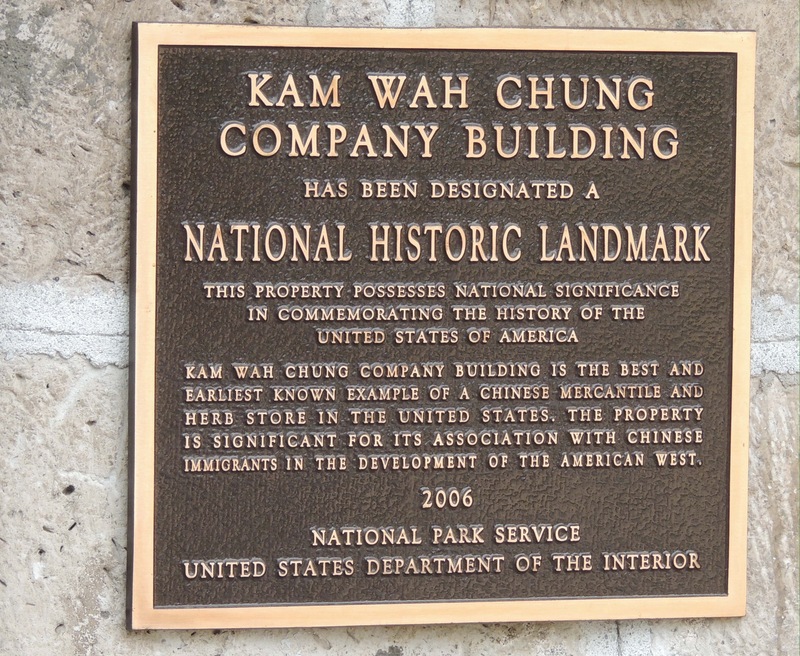 Kam Wah Chung is listed on the National Register of Historic Places. The Oregon State Park website for the location boldly proclaims “If you haven’t seen this place, you need to go”…and we couldn’t agree more. If you are in eastern or central Oregon, this gem is a must to put on your list of places to visit. Free Kindle edition of Anecdotes and Antidotes: 25 years at Kam Wah Chung and many other items available on our exploRVistas Amazon link by clicking HERE. Yes Rick, that calendar is a classic, for sure! You always come across the coolest things – and this is no exception! Thanks for sharing! Definitely have to send props to Jodee & Bill (On the Road Abode) and also John & Pam (Oh the Places They Go), as we saw it on their blogs first. This is definitely a place worth seeking out, Kelly. Besides that, the surrounding countryside is amazing. Our next post will cover more about that. Interesting place and nice narrative! Thanks, Aya! Check it out if you get up this way! Fascinating stuff. What a find when they opened that door. Really love those locations that are a walk back in history. Seems like there is always a lot to discover. Thanks for the article. I’m sure that was a eye opening experience when they unlocked the door! It was cool when we entered, for sure, Mark! So very cool. 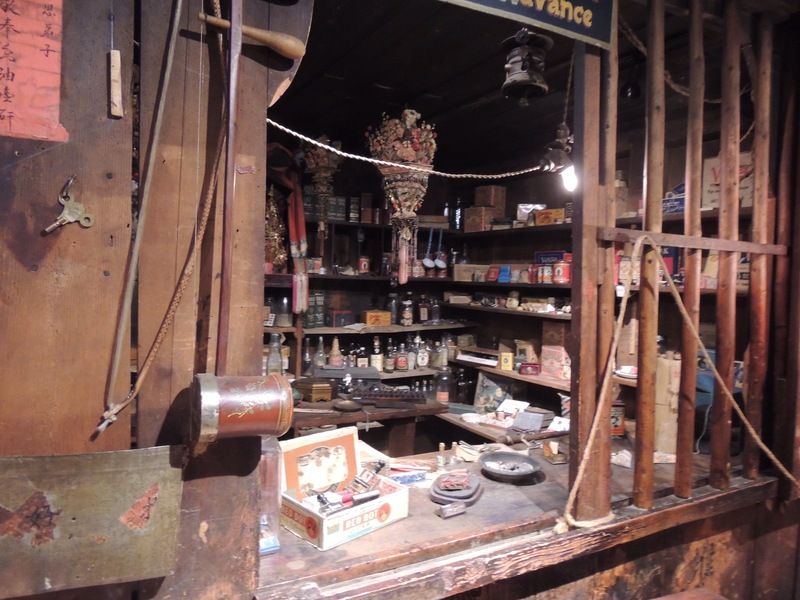 We discovered an old restored general store in a ghost town in New Mexico, very similar….shuttered up and everything was still in it. Totally fascinating!!! Places like that are so cool, Cori and Greg! That sounds like a treasure. Putting on our future Oregon list. With no flash allowed, that was some tough photographic work, Jodee. Next time, I’m bringing a tripod! Kudos to Diana and Kathrun on their pics. Love all the old products and labels! Interesting place I’d like to see. We’ll have to visit one day. Sure hope you are able to! This is such a unique place. We really enjoyed our visit and were pleased Jodee shared it. I would have been disappointed if we had passed it by, Now between Jodee’s, post, ours, and your new post, we are getting the word out! Yup…yours and Jodee’s posts are what got me personally interested!